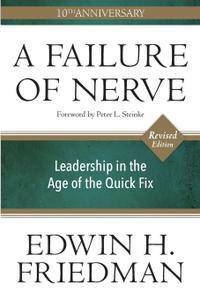 Edwin H. Friedman, "A Failure of Nerve: Leadership in the Age of the Quick Fix, Revised Edition"
Ten years after his death, Edwin Friedman's best-selling A Failure of Nerve continues to offer insights into leadership that are more urgently needed than ever, and this revised, anniversary edition is essential reading for all leaders, be they parents or presidents, corporate executives or educators, religious superiors or coaches, healers or generals, managers or clergy. 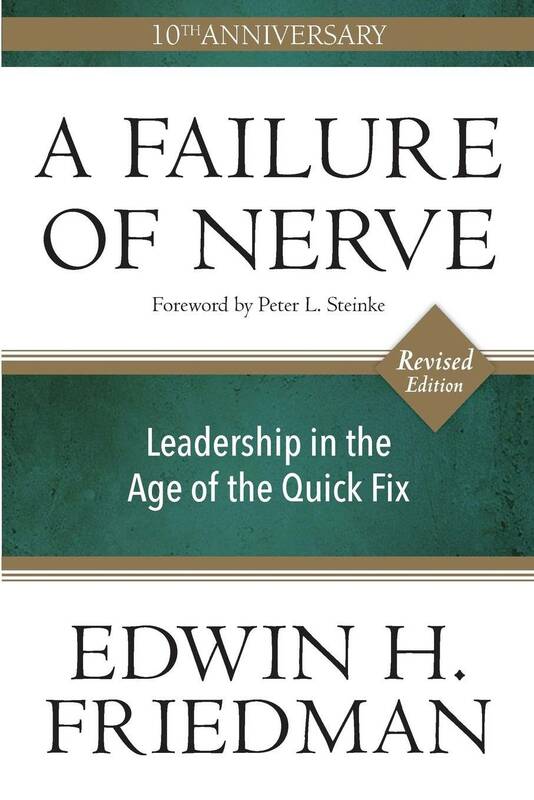 A Failure of Nerve was unfinished at the time of Friedman's death and originally published in a limited edition. This new edition cleans up some oversights in the original and brings his life-changing insights and challenges to a new generation of readers. "Reading this book is like discovering an unpublished Beethoven sonata or a missing play of Shakespeare. Ed Friedman was one of our most brilliant, original, and provocative thinkers across the fields of therapy, ministry, and organizational leadership." Audience: Clergy, vestries, other lay leaders. Those interested in how they can adapt to the change they see coming while retaining core identity. Seminary, continuing education, CPE, small groups. Broad reach to all leaders, not just those of congregations.